From discounts on locally grown organic produce to worldwide health care, Georgia State has you covered. Georgia State offers competitive, robust benefits for its employees. This overview will help you understand and find more information about the comprehensive benefits available to you as faculty members. 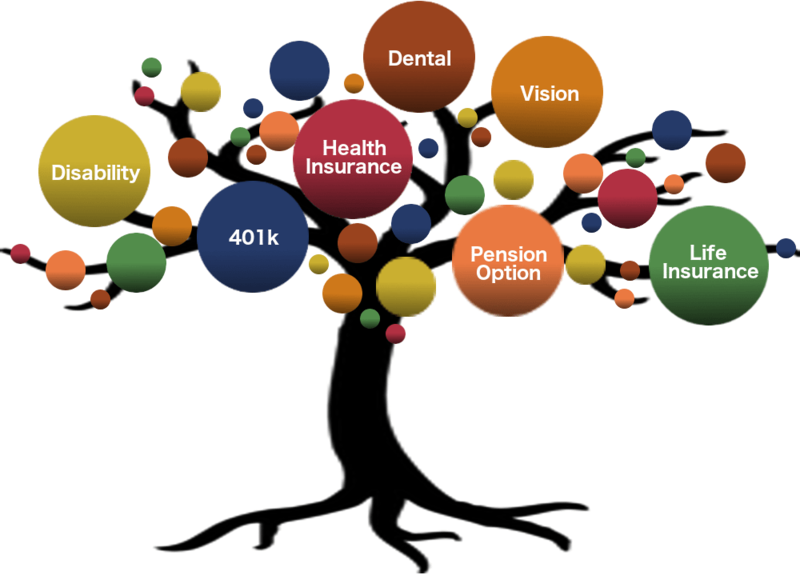 Full-time faculty have a choice of two mandatory retirement plans (a pension plan and a 401k plan), numerous voluntary retirement plans, several health, dental, and vision insurance plans, life and critical insurance plans, lifestyle benefits, and many other programs. Part-time faculty should review their benefits eligibility. To help you understand your benefits options, you’ll be prompted to sign up online for a benefits orientation shortly after you accept an offer of employment and submit your new hire paperwork. We also encourage you to review the benefits handbooks and updates available online through the Human Resources Benefits Office. The Office of Faculty Affairs can provide more details about work-life benefits unique to faculty, including tenure clock stoppage and leaves of absence. These important options can give faculty members the flexibility they need to raise a family, deal with serious illness, or assist other family members with serious health issues. Short-term counseling services and counseling referrals are available for faculty and their families through Georgia State’s Faculty and Staff Assistance Program. Two child care centers are offered through Georgia State’s Child Development Program, which is part of the College of Education & Human Development. These child care centers are on campus and immediately adjacent to campus and are popular with Georgia State faculty. Private lactation space is also available on campus. A wide range of fitness and recreation services is available on campus through Georgia State’s Recreation Center. The Touch the Earth program organizes trips to parks in Georgia and neighboring states for hiking, horseback riding, skiing, and kayaking for modest fees throughout the year. Worksite Wellness programs include yoga, meditation, health consultations, weight loss programs, and more. Full-time employees and their dependents can apply annually for a waiver of non-resident tuition fees at Georgia State. Full-time employees who have worked at Georgia State for at least 6 months may also apply for the Employee Tuition Assistance Program to take up to 9 credit hours of courses per semester at one of the institutions in the University System of Georgia. 10% off Good Measure Meals, healthy prepared meals, customizable to meet your dietary restrictions, and available for convenient pick-up on Georgia State’s campus in Sparks Hall.